The airsoft community is comprised to two parties; players and businesses. Players need good fields, repair shops and innovative retailers and manufacturers to make their sport enjoyable. Businesses need players to support their fields, shops and gear production. Both need the ability to find each other through advertising. Unfortunately, the two biggest ad companies, Facebook and Google, are banning airsoft companies from reaching players. This hurts the industry in many ways. 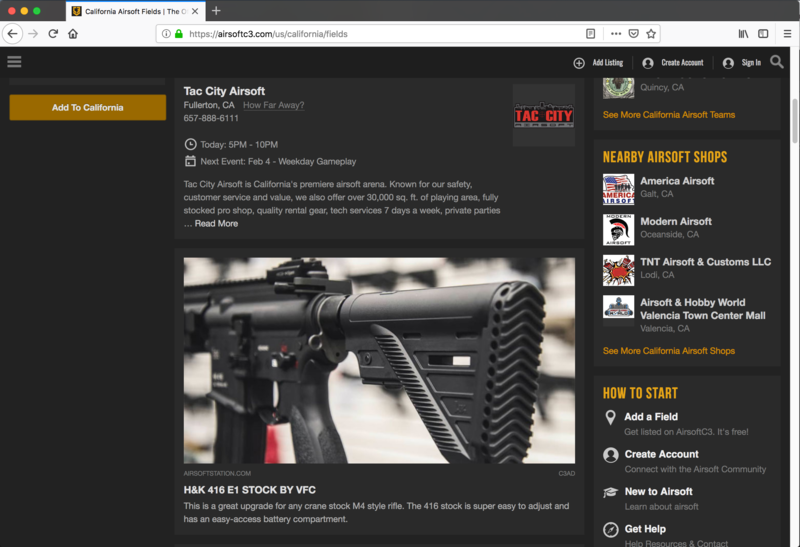 AirsoftC3 is proud to support both airsoft players and businesses, and allow them to connect easily on our platform. We do this both organically, through brands and players engaging with each other through content and conversations, as well as through our ad system. If you're new to AirsoftC3, get started by creating a brand page. Once your new brand page is live, add your logo and banner image. Then share some content. Even without any followers, thousands of airsoft players across the nation will see your content. As you share content, players will follow your brand page. Now get this... We'll deliver your content to 100% of your followers. Unlike Facebook which only shows your content to a small subset of your followers. Are you looking for even more reach? The C3Ads system can get your content appearing throughout the site, in front of tens of thousands of players. Ads MUST look good. That means great looking imagery with very little text. Ads are CPC (cost-per-click), which means you're paying only when your ad is clicked on, and a player goes to your site. Ads are keyword based. You provide a list of relevant keywords and we try to match your ad with conversations and products that are related. Ads are auction based. The price you pay for your click depends on how many other advertisers are bidding on your keywords. The average cost per click right now is around $.50. As we work to roll out the self-managed ad system, we're currently working with ad partners to get their ads setup and running in the system. Send us an email with a quick overview of your company, and we'll have an account representative reach out to help you get your ads running in no time.